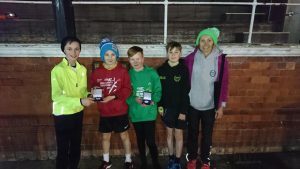 The young endurance squad is suitable for male or female athletes from 9 years old with an interest in distance running. Anyone joining the group needs enthusiasm and a love of running. The young endurance squad is made up of a team of coaches lead by UKA Level II and Lydiard Level II Coach Sarah Kearney. Sarah was the Wirral Coach of the Year in 2017. Also on the team are Pam and Joe Green (Cross Country), Ronan Kearney (Speed Coach), Steve Spence (Assistant Coach) Alan Robertson (Assistant coach), Kieran Morgan (Assistant coach), Arran Kearney (Assistant coach), John Heap (Run leader), and several supportive parent helpers. We also work with a specialist strength and conditioning coach from Tranmere Rovers. We believe athletics is great for fitness, but more importantly to prepare young people for life. Endurance running is a sport that repays hard work and enthusiasm, and it always takes many years to realise your full potential. As a coaching team we will help you by giving you the building blocks in strength, agility and aerobic development that will help you for your whole life. In the end, the most successful athletes are those who stick at it for many years, not necessarily those who shine very brightly for a short time. Although the squad has some very talented young athletes the focus is on everyone developing to be the best they can be regardless of their natural ability. Athletics is a great team sport. As coaches we believe that having fun with your friends, and achieving success together is the best way to keep you in our fantastic sport. We will prepare you all to compete at the highest level that you want to, with your friends and team mates alongside. Younger athletes (U11’s) are offered sessions in the group on a Wednesday and Sunday only. Athletes work in ability groups supported by a run leader coach or coaching assistant, under the guidance of the lead coach. Older athletes are allocated to one of four training groups within the squad depending on their age, ability, and how long they have been training. Training is progressive with athletes scheduled from 2 to 6 sessions a week. Athletes in the squad access their training schedule using the sportlyzer club management system. They and their parents are able to see their schedule from their phone or computer. They each have an on-line training diary and receive feedback from coaches. Location of sessions change throughout the year depending on the current focus and to add interest. In the winter the group focus is on cross country. 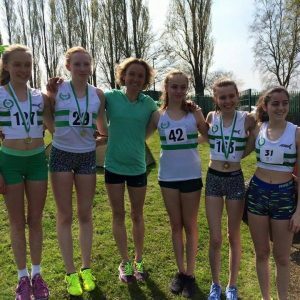 The winter season is packed with races from the Merseyside schools league, Manchester cross country league, the National Cross challenge, the Northern championships, the County championships, the National championships, the Northern and National cross-country relays. Support is available from the coaching team at races and transport is provided for team events that involve a long journey. 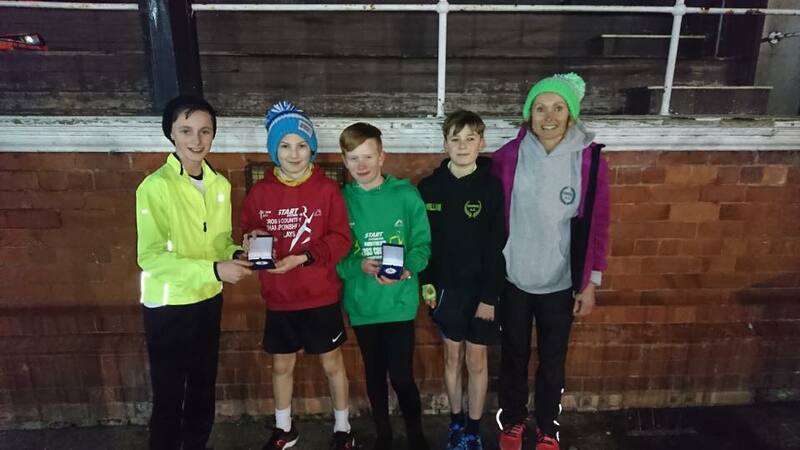 The squad has enjoyed a lot of success over recent years and in 2017 our U11 boys took team gold in the Northern cross-country relays and the U13 boys took team silver in the 2018 Northern cross-country champs. Several athletes have been selected to represent Merseyside County at the National championships, with our squad providing 40% of the Merseyside county team in 2017 and 2018. There is an option to train and get involved with indoor track over the winter. The focus of the summer season is track. Athletes in the group usually compete in distances from 300m up to 3000m. We get involved in open days, school’s competitions, championships and athletes in the group run for the club in the Northern Youth Development League. 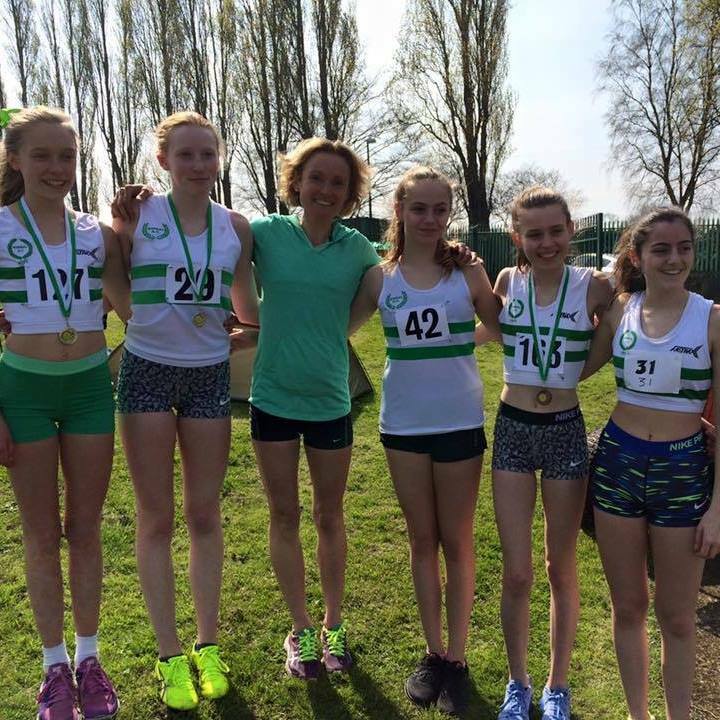 Last season on the track 2 athletes from our squad achieved their English school’s times and competed in the English School’s National Championships. I am an Endurance Athlete, and compete regularly for the club in track, cross country and road racing. I regularly run at county level and have enjoyed success as a Master’s athlete, and have been selected several times to represent Wales in cross country and road running. I have 10 years’ experience in supporting young endurance athletes. Although I had always kept myself fit I got into athletics later in life when my own children started to get involved. It was the enthusiasm passion and dedication of their first coach Graham Patterson that attracted me to the sport. I was a coaching assistant for 6 years before qualifying as a coach. I believe that there are no short cuts to success in endurance running; it is commitment and hard work that lead to success. Success is personal and we can all experience success in running at our own level. I want the athletes in my group to fall in love with running and for it to become truly part of the person they are. I want them to go through life as a runner. Although success at a young age is exciting, the main aim of training at this age is to build a strong foundation for a lifetime in the sport.